Stephen Law's dream job had him working in the nation's best environment--its forests. 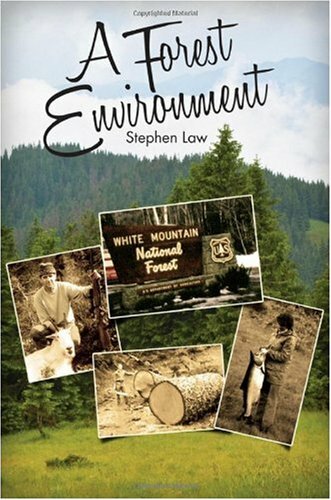 Raised on a farm in rural Maine, Stephen became a civil engineer for the U.S. Forest Service, and A Forest Environment was written from his experiences. He loved the woods and the animals that lived there, hunted, fished and loved to camp and explore. In a chronicle spanning two generations, Stephen shares his adventures in the wild, as well as the insights of his father, a veteran of the Maine woods, in the early 1900s, working for the paper industry. Join Stephen as he comes face-to-face with a bear for the first time, catches 22 trout on 22 casts and hunts mountain goats. Traveling all the way from the woods of Maine to the forests of Alaska, Stephen learns how engineers for the U.S. Forest Service built roads and bridges so the forest resources could be managed to meet the needs of the greatest number of people in the long run. He shares these lessons of the twentieth century with readers of the twenty-first century in an intimate and humorous story-telling style. Advocates of maintaining our nation's forests, casual outdoor enthusiasts, and those completely new to the idea of 'the great outdoors' will discover the charm and wonder to be found in A Forest Environment. This is one of the classics of American environmental history, sitting on the high shelf with Stilgoe's "Common Landscapes of America", Pyne's "Fire in America", Cronon's "Changes in the Land" and "Nature's Metropolis", and Reisner's "Cadillac Desert". 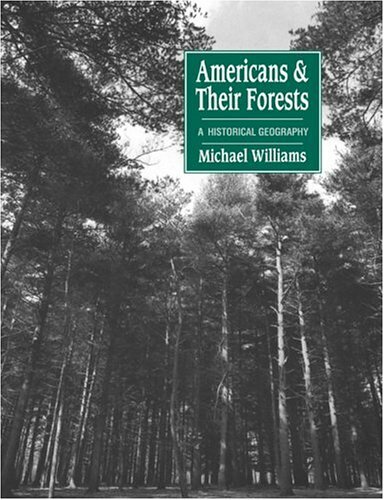 Williams does a masterful job of pulling together social and economic sources (including much primary material) to present a wholly original view of American history.For thousands of years people have shaped the forests of North America, and in subtle ways the forests have shaped us.However, forest history has long been hidden behind the curtain of political events that constitute the official record of "history", aided by the amazing shortness of human memory.Williams brings forest history (and environmental history in general) back into the light with a lucid account of forest history at the scale of the whole nation. 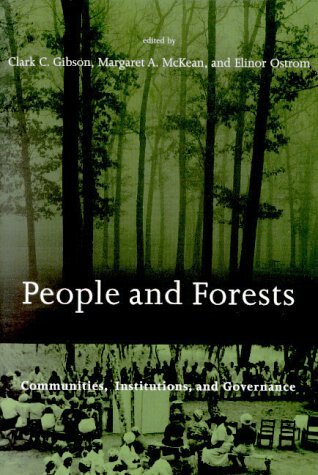 He dusts off long-forgotten sets of nineteenth and twentieth century statistics, and summarizes them in easily comprehended graphs and maps to make the point that the forest resource played an important role in population expansion across North America, in the evolution of our governmental structure, and in development of modern technologies.To the forest ecologist, he says 'Much of the forest you are looking at today is simply an artifact of human intervention in the past'. 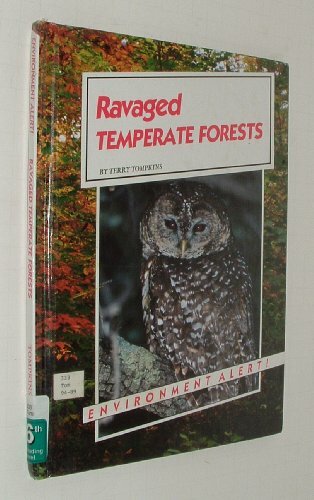 Like all works which attempt to convey a long view of history, A&TF becomes a bit vague as it approaches modern day.The owls vs. jobs controversy of the Pacific Northwest is not mentioned, nor are the regrowth of eastern forests and exurban sprawl given the space they deserve.Nevertheless, the accounts of events in the 17th - mid-20th century are excellent, and highly relevant considering we are still dealing with their aftermath. 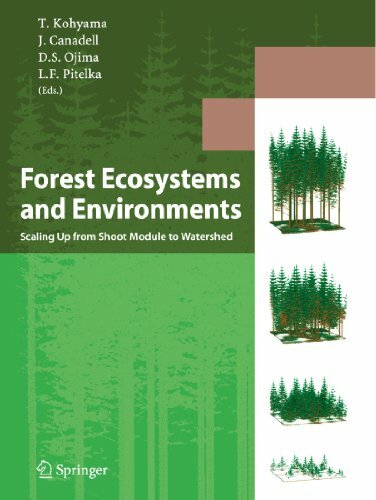 Throughout much of human history, changes to forest ecosystems have come about through natural climatic changes occurring over long periods of time. But scientists now find changes in forest cover dramatically accelerated by such human activities as large-scale agriculture, the building of dams and roads, and the growth of cities with vast areas of asphalt. Changes that once took centuries now take only decades. 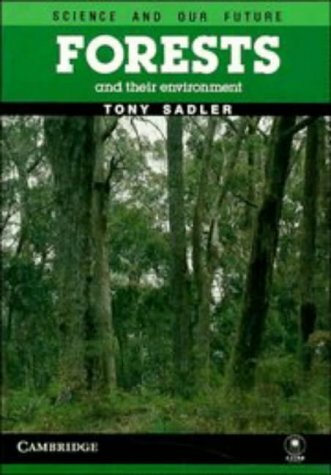 Seeing the Forest and the Trees examines changes in land cover and land use in forested regions as major contributors to global environmental change. It investigates why some forested areas thrive even in the presence of high human densities and activity while others decline and disappear. What people do is behind the build-up of earth-warming gases. For example, carbon dioxide builds up from people using fossil fuels and cutting down tropical forests. Methane builds up from people raising so many animals and so much irrigated rice. These gases change climate. Changed climate means changed air and water, changed farming, and changed life. 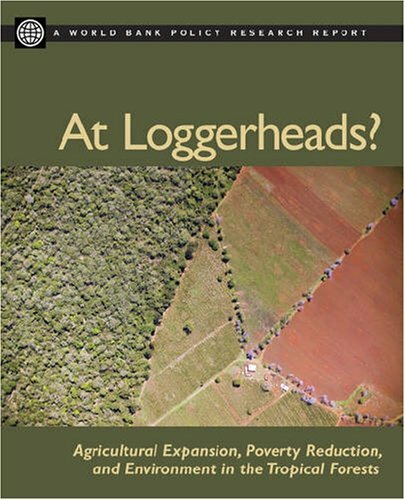 In these cases, people change land cover by changing land use. Is it surprising that changing forest cover is so serious? Trees are homes to plants, people, bugs, birds and animals. They keep us all breathing, by adding oxygen to the air. They make sure there's carbon, what with green things growing old and dying. They make sure there's water by getting rainfall into the ground and the water table. They make sure water levels stay about the same in streams and stop soil erosion on stream banks. Land cover always changes. But that used to be part of natural climate changes taking place over a long time. What's different now is fast-paced land clearing for grazing, farming, and building dams, roads and suburbs. Some forests grow back. Others not. Natural scientists were the first squeaky wheels about the role of people in all this. They couldn't come up with solutions, on their own, to problem changes in air and weather. They needed the help of social scientists. 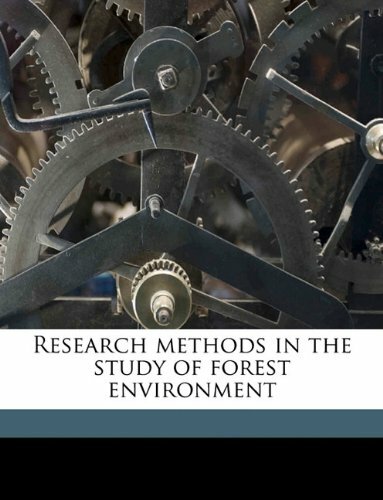 For everywhere natural scientists were SEEING THE FOREST AND THE TREES they were also seeing HUMAN-ENVIRONMENT INTERACTIONS IN FOREST ECOSYSTEMS. 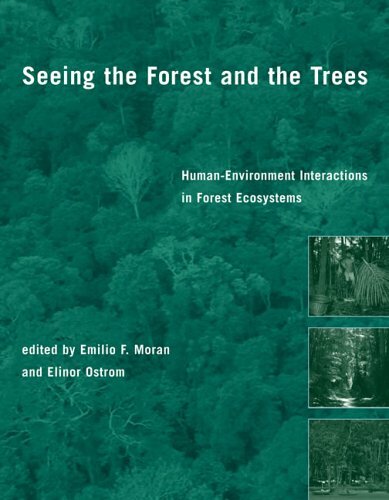 Editors Emilio F Moran and Elinor Ostrom, along with their contributing writers, all agree the future of forests, forest livers, and people depends on natural and social scientists working together. The problems of the forest, and of the quality of life on earth, have nature and people aspects. But our educational system gets in the way of this kind of problem-solving. From elementary schools all the way through universities, the natural and social sciences are kept apart. That can change, with enough time, goodwill and effort, say the editors and writers. And the Center for the Study of Institutions, Population, and Environmental Change at Indiana University sets a fine example. The forest ecosystems of the southern United States are the region's predominant land use and comprise vital resources of economic and biological significance. These forests, covering 85 million hectares or 40% of the land area, are subject to numerous physical and chemical stressors. 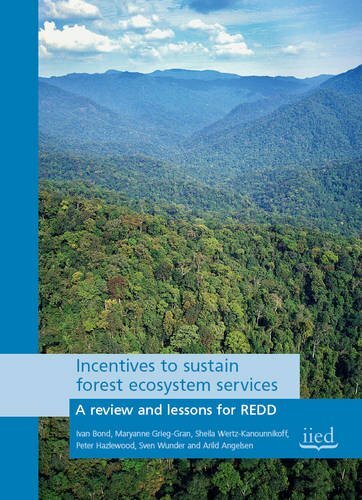 Temperature, precipitation, and nutrition are three factors that currently limit forest ecosystem health and productivity in the region. In a changing global environment, these forest ecosystems face an unprecedented rate of change and will be directly and indirectly affected by additional stresses from air pollutants and climate change, including increasing concentrations of carbon dixoide, methane, other trace gases and atmospheric aerosols, and altered land use patterns. 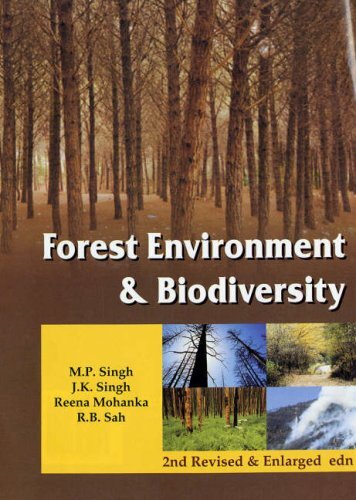 The research presented in this book provides a sound scientific basis for management and policy decisions regarding the productivity and sustainability of forest ecosystems in the context of a rapidly changing global environment.